Hello! I just picked up a 98 with 12k miles on the clock, and am the 3rd owner. Previous owners hooked me up well with LE suspension work in the forks, Corbin saddle, Galfer lines, Pazzo levers, and nicely modded OEM exhaust. Bike also came with unmodified OEM cans, and all the reference books available to own and service this fine machine. I'm on the hook for installing some APE mCCTs, arriving tomorrow, as well as not losing my license playing with this thing. 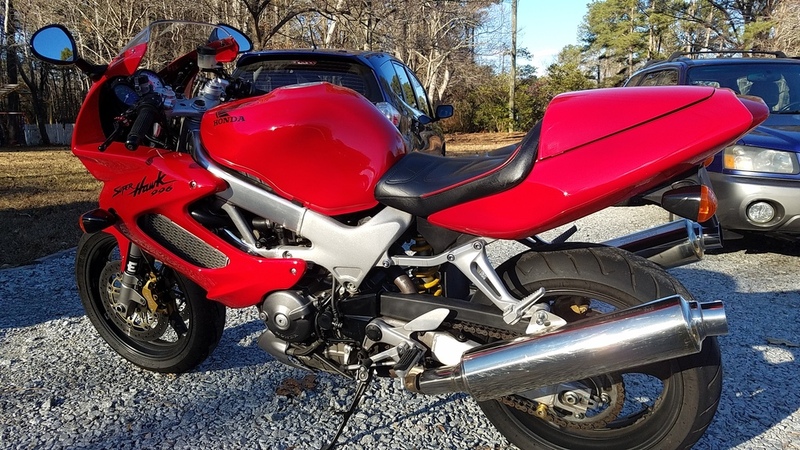 This is my 12th motorcycle in my 30 years of riding, notable previous bikes include 73 Yamaha RD350, 2001 Yamaha FZ1, 2003 Suzuki SV650S (later sold as an "R" model with about 10k miles on the race track), 1989 Hawk 650GT, 1997 Honda VFR750, 2001 Honda XR650R, 2007 Aprilia SXV550, and 2009 Kawasaki Versys 650. 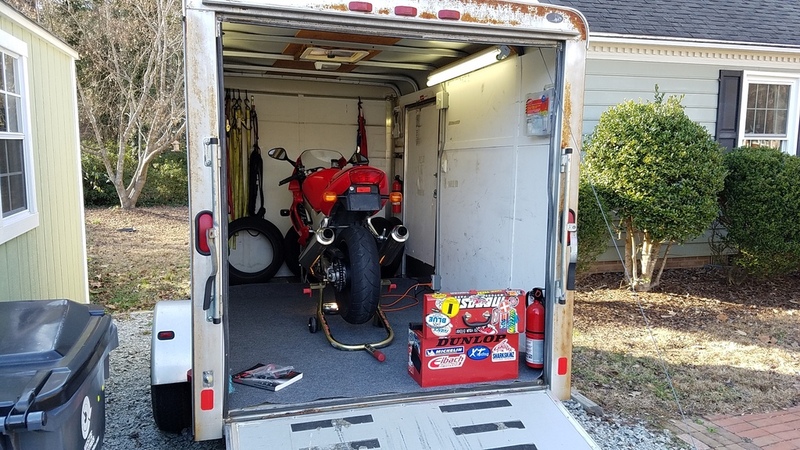 I'm from Asheville, NC originally, and learned to ride on the Blue Ridge Parkway and adjoining twisty back roads, spent the better part of 03-08 being a track junkie, and have toured some of the better roads in CA and Southwest on an RC-51 over the years. So yeah. What's up, VTR people? Welcome aboard Ion. Just amazing that three owners could only rack up 12000 miles in 18 years! I expect you to do better (one you've done those MCCTs!). Sounds like your bike has the right goodies, but you do need to post up a picture. Here's my 97 which has done nearly 50,000 miles. Shouldn't that pic appear upside down, what with you being in NZ and all? Clearly it's a hoax. I'll post some VTR pr0n when it isn't miserable and raining here. Three of my friends did a mc tour of NZ two years ago and blew us away with the stories and pictures. Definitely on my bucket list. Hell, a non-riding friend hitch hiked around last year and had a great time. Good to know the VTR can go the distance! I look forward to putting a few on and regaling you all with stories of adventure but definitely not woe. Welcome, wow you found a rare gem! Post us some pix! Welcome ion. We have another fine member in your area. If you need any assistance, 1971allchoas may be able to help. Do post pics when ya can. Nice examples are becoming more rare with time. I too transitioned from a HawkGT. Awesome little bikes. Of your list which do you wish you still had? She's apart in my trailer for the moment, doing PM and cleaning. Looks like linking to a photo hosting site is practiced here, no pic uploads to keep costs down, right? I'd have to say I miss my SV the most, but when I sold it, it was in rough shape having been down at race speed several times, and I was still recovering from a high side at CMP that left ribs and vertebra fractured. Last time I rode it was to put it on a buyer's trailer, and I have to admit I had a lump in my throat over it. I really learned to ride on that bike. Awesome engine. I've been a V-twin lover since. 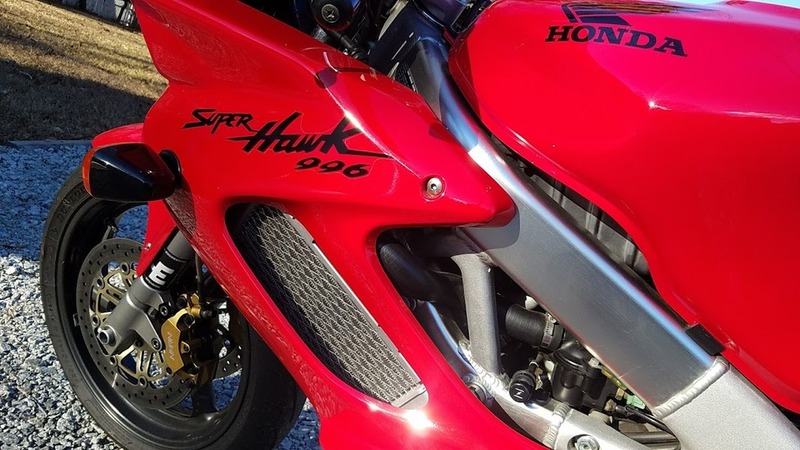 I bought my Hawk from a friend a week before I got the SV. It was already upgraded with suspension, intake, exhaust, and some other goodies, and I put a few more on intending to make it my track bike, but I couldn't get the ergos right for my 6'2" frame, so kept it on the street instead. One of my college friends took it off my hands and still rides it regularly. Uhh costs... Site owner is basically mia and it is what it is. We have our issues and get no help... You can attach and upload, they're just not displayed large. My wife owned an SV for a while. It too was a great little bike. Every time I went from SV to VTR I felt like I was getting twice the motor. All we did to it was a slip-on Jardine. I rode it more than she, so we sent it down the pike. Definitely a twin guy too, always will be. No doubt this torquy beast propels one to warp speed way faster than the SV. Reminds me of the time I took my friend's WSB spec Aprilia Mille out on Jennings GP and was hitting ~150 mph where on my SV I was usually hitting ~100. I came off that bike shaking and ready for a cigarette.